"Carpool Karaoke" has a surprise passenger: Apple Music. A new series based on James Corden's incredibly popular "Late Late Show" bit has been scooped up by Apple Music. The series' 16 episodes will be made available exclusively to Apple Music subscribers in a move that further expands the original content of the company's streaming music service, CBS Television Studios, which is producing the show for Apple along with Corden, announced Tuesday. The series, which was first mentioned earlier this year, will be like its late night predecessor in that it will include celebrities singing along with a yet to be announced host. In each episode, the host and celebrities will "visit places meaningful to the celebrity, sing tunes from their personal playlists and surprise fans who don't expect to see big stars belting out tunes one lane over," the network said. "We love music, and 'Carpool Karaoke' celebrates it in a fun and unique way that is a hit with audiences of all ages," Eddy Cue, Apple's senior vice president of Internet Software and Services, said in a statement. "It's a perfect fit for Apple Music — bringing subscribers exclusive access to their favorite artists and celebrities who come along for the ride." Apple Music's move to grab the rights to the new series, which surprised industry observers, makes a lot of sense since "Carpool Karaoke" is a well known brand and a viral sensation online. The bit, which has included Justin Bieber and Adele, has racked up more than 830 million views on YouTube, according to CBS, and has helped define Corden as one of the biggest stars in late night television. 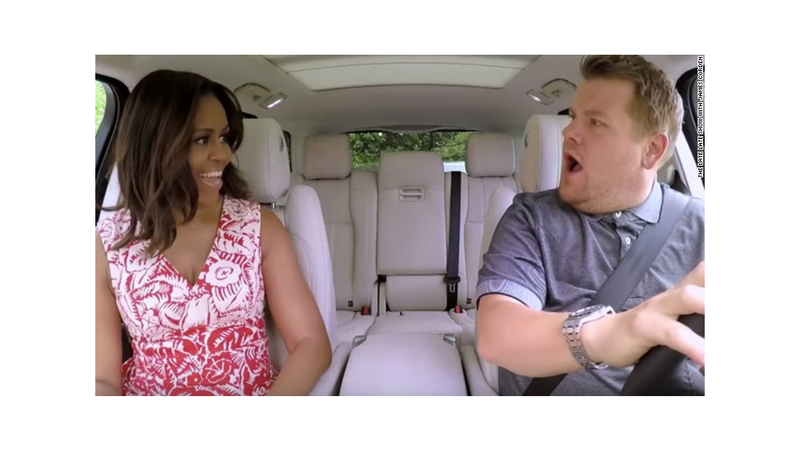 In the latest "Carpool Karaoke," Corden drove around with First Lady Michele Obama as the two belted out Beyonce's "Single Ladies." Video of that segment has been watched more than 32 million times on YouTube since last week. In February, Apple Music made some noise with another music-based series when it announced that its first original scripted TV series would star Dr. Dre.